A developing storm system may bring gusty winds and snow to the Northern Plains and Upper Midwest. The storm system is currently bringing rain and snow to the Pacific Northwest, but after it makes it over the Rockies, it'll reorganize and redevelop in Colorado on Thursday. From there, it'll take a typical Colorado Low track, moving across the Plains and into the Upper Midwest. The backside of this storm will most likely bring the worst weather — heavy snow and strong winds. The first snowflakes will begin to fly in Wyoming and Colorado on Thursday before moving into the Dakotas late Thursday and into Friday. The storm really picks up steam at the end of the week when it moves into Iowa. 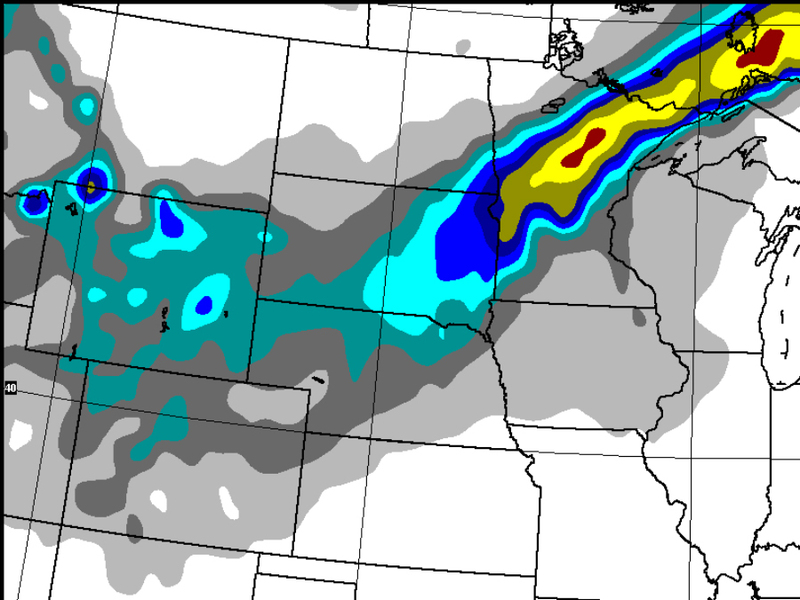 That's also when Minnesota will most likely get the brunt of the storm — Friday and into Saturday. Over the weekend, the storm moves across Wisconsin and Michigan, bringing strong winds and a few snowflakes to both of those states and possibly parts of Illinois, Indiana and Ohio. In addition to the wind and the snow, this storm system is also ushering in some more seasonably chilly air. 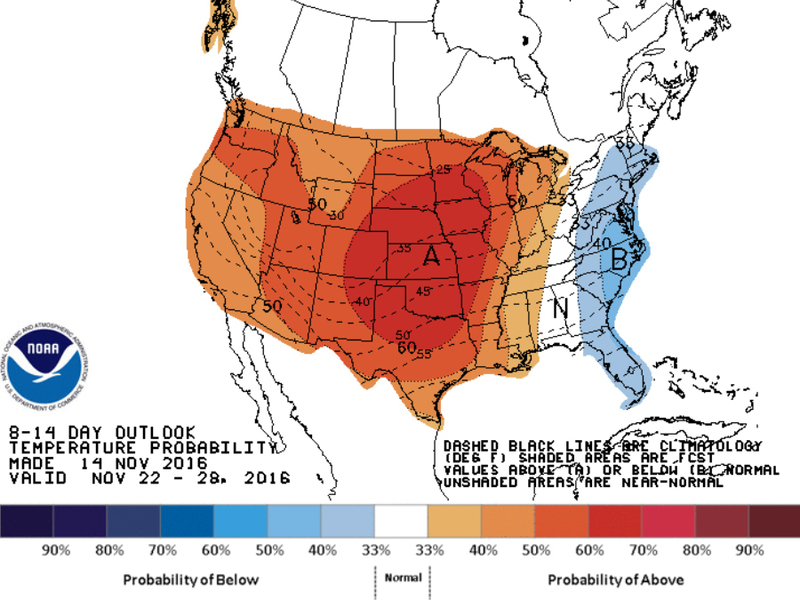 The first half of November has been overwhelmingly warm for most of the country, but it'll begin to feel more like mid and late November by the weekend and early next week. For fans of the cooler weather, it'll be fleeting as long-term models have warmer air returning just before Thanksgiving. And if you're hoping for snow, watch to find out which areas can expect additional snowfall this winter.